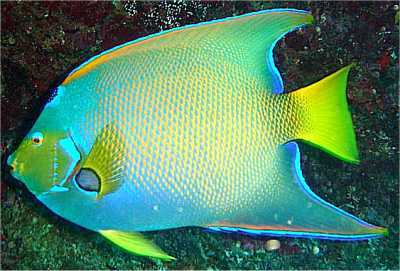 True Wild Life | Angelfish | There are around 100 different species of angelfish that inhabit the waters of the southern hemisphere. 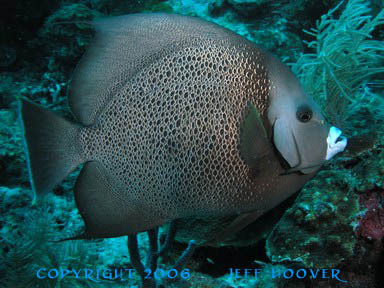 There are two main types of angelfish, those that live in the freshwater rivers in South America (freshwater angelfish) and those angelfish that inhabit the salty ocean waters (marine angelfish). 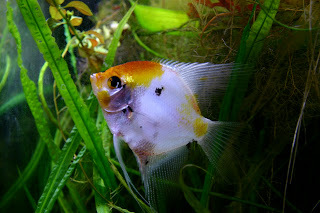 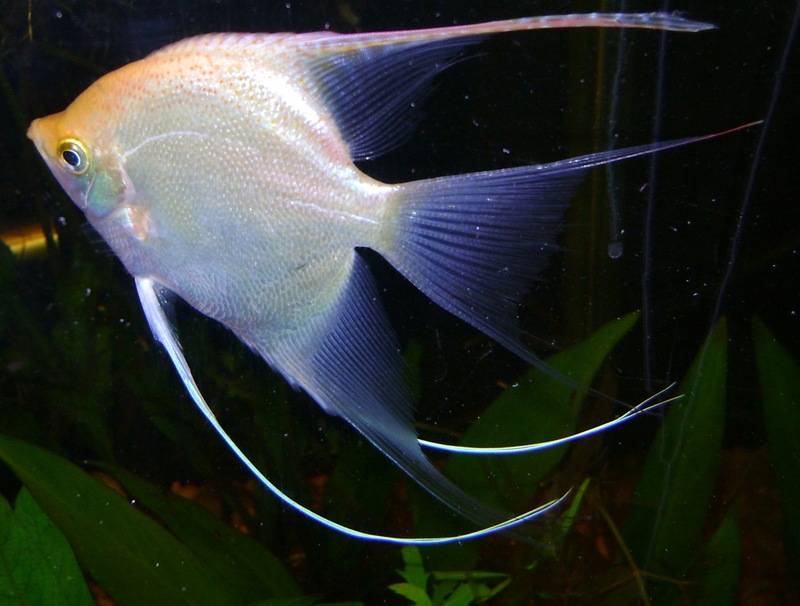 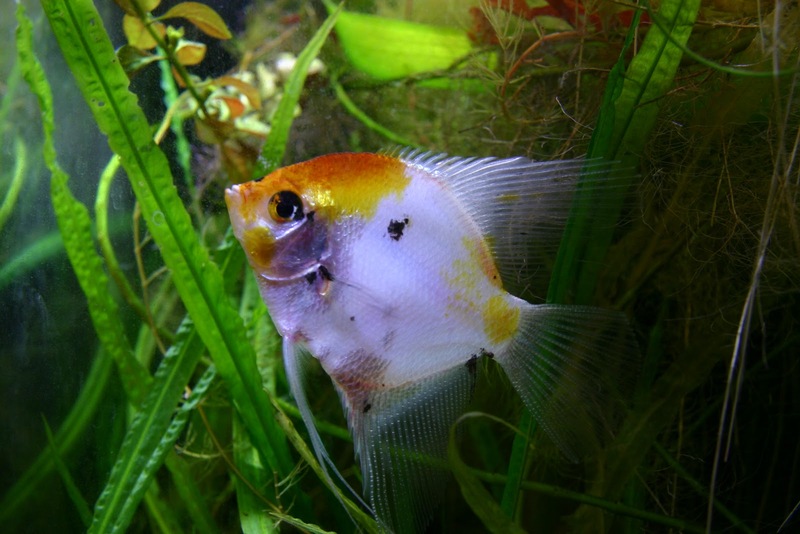 The freshwater angelfish has a more triangular shape and will generally only grow to a few inches in length. 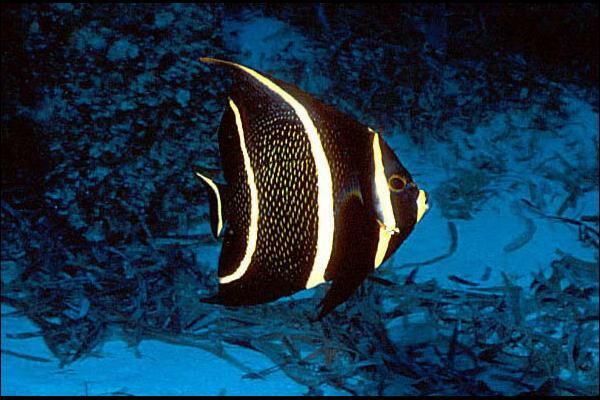 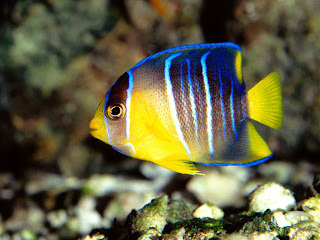 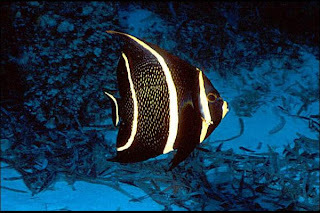 The marine angelfish can grow up to 12 inches (the same length as a big ruler) and generally have very brightly coloured markings but the exact colours depend on the angelfish species.